International lessors have grounded more Jet Airways planes prior to potentially moving them out of India, as scepticism builds whether a state-led bailout of the carrier can clear their dues on time, sources familiar with the matter said. The troubles at India's Jet, which is saddled with a billion dollars in debt, have rekindled memories of Kingfisher Airlines' collapse in 2012 that forced lessors to write off millions of dollars. Jet has defaulted on loans and has not paid pilots, leasing firms and suppliers for months. "There's some talk that the money is going to come but lessors have heard this for too long," one leasing source said on condition of anonymity due to the sensitivity of the matter. "We are not convinced with the restructuring plan. This is panning out just like Kingfisher. Banks took control but they never wanted to take a majority stake and run the airline." Nine of Jet's planes have been grounded by lessors, versus the four it reported last month, with AerCap Holdings NV and BOC Aviation Ltd among those who have pulled out planes, sources told Reuters. Cross-checks of the Jet fleet by Reuters on FlightRadar24 also show that nine of its planes have stopped flying over the last four weeks. That excludes two more that are at Singapore's Seletar Airport for, according to sources, maintenance work. BOC Aviation and AerCap declined to comment. "We are waiting to see what the workout plan has in terms of us getting paid. The situation is very dicey," an executive at another lessor said. "We have to make sure our assets are protected. Indian government and speedy resolutions are not words we normally use in the same sentence." Jet, after months of crisis-talks to plug a 85 billion rupee ($1.2 billion) funding hole, agreed a draft plan last week to sell a majority stake to a consortium led by the State Bank of India at 1 rupee, under regulations that permit banks to convert debt to equity in a defaulting firm. The stake sale will be followed by an equity raising, debt restructuring and the sale and leaseback of jets, but the plan needs approvals from several stakeholders. Jet shareholders will vote later on Thursday to provide general approvals for a debt-to-equity swap. The airline has posted losses for four quarters, battered by high fuel prices and a weak currency. Its shares plunged 67 percent in 2018, wiping out $1 billion from its value and making it the second-worst performer among airline stocks globally. Jet has a fleet of about 123 mainly Boeing planes, including 16-owned aircraft. The rest are leased from many lessors including GE Capital Aviation Services, U.S.-based BBAM and Japan's SMBC Aviation Capital, sources said, underscoring the need to get lessors on board with the bailout plan. 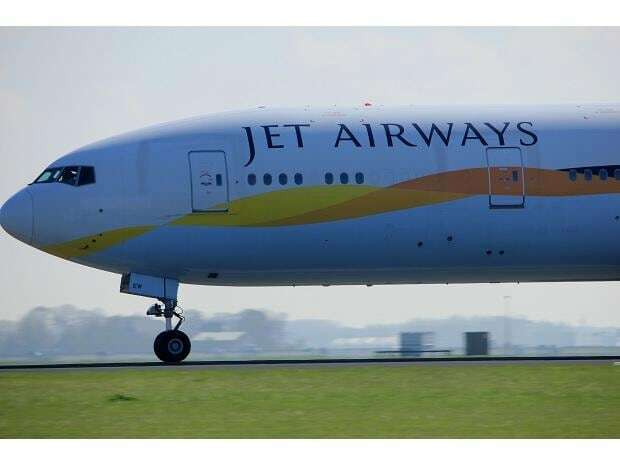 Jet's management team, however, was unable to provide a timeline for the receipt of approvals and funds under the bailout plan on a call with analysts last week. But a senior Boeing executive struck a positive note, saying "once lessors see the money come into their pockets, that's when the edginess will go away". "Right now they are only seeing all this paperwork ... it will take three months for things to settle," Dinesh Keskar, senior vice president for Asia Pacific and India sales at Boeing Commercial Airplanes, said. Keskar said Jet's lessors were taking deliveries of new Boeing 737 MAX planes but that they had held back 4-5 of the jets in Seattle pending payment from the Indian carrier. The Boeing executive, however, was optimistic that the situation would stabilise in the near term. "The government is interested in making sure that another airline doesn't go away and another debacle doesn't happen in a very high-growth country," Keskar said on the sidelines of the Aero India airshow in Bengaluru.